Aquamarine Power recently announced the first step towards the installation of its second Oyster wave energy generator with the arrival of the ‘Excalibur’ jack-up barge in the Orkney Islands. 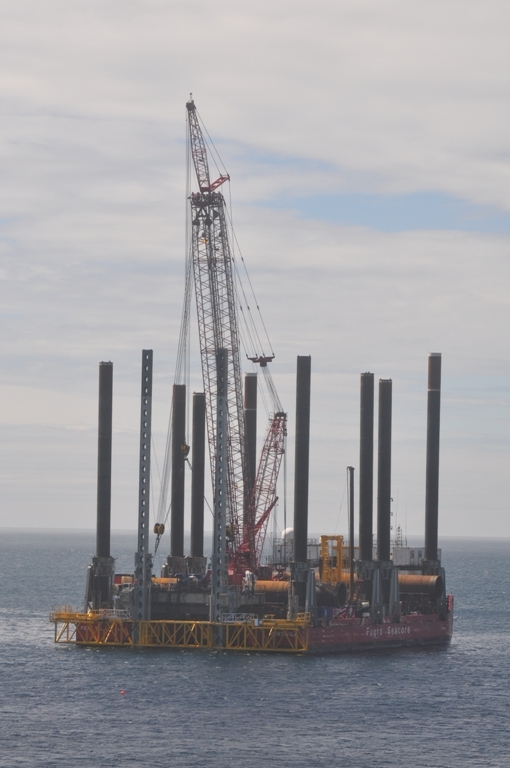 The operation will see the barge begin to drill piles into the seabed in order to create foundations for the next-generation wave energy device. The new Oyster is the first of ten potential units that are planned for the area, and each Oyster will be capable of producing 300-600 KW of electricity. Once completed, the farm will be able to provide enough energy for 3000 homes. 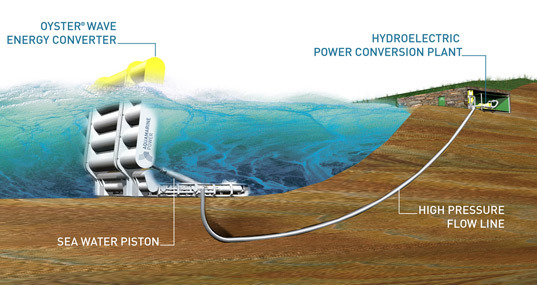 The Oyster will capture energy from waves and convert it into clean, sustainable electricity – in essence, it is a wave-powered pump that pushes high-pressure water to drive a conventional onshore hydro-electric turbine. The innovative device use an on-shore base that is much easier to maintain than standard offshore wave power designs. The system is also capable of operating at shallow depths, making it more consistent than systems that operate far out at sea. The Oyster is scheduled to be installed off the Orkney Islands at the end of July, when it is transported from Methil to EMEC by barge. Once the Oyster is on the site, it will be fixed to the seabed around 500 metres from shore. This will be followed by a commissioning process which will see the device connected to an onshore hydro-electric generator via sub-sea pipelines. Speaking about the project, Martin McAdam, Chief Executive Officer of Aquamarine Power said: “The installation of our second full-scale Oyster will be another major milestone for Aquamarine Power. Our team will be working very hard over the next few months to complete the project for sea trials to begin in the autumn. “We have been made to feel very welcome in Orkney since we installed our first Oyster at Billia Croo in 2009. We have worked with more than 30 local firms and spent directly over £2 million in the local economy since we began working in Orkney.